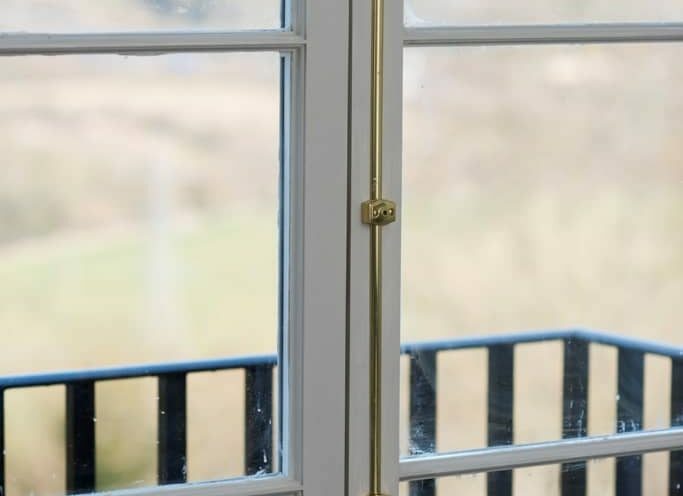 We handcraft french doors and sash windows in the traditional way. This property on Bathwick Hill, Bath was totally transformed from a 1970’s flat space. All of its former architectural features were hidden behind textured wallpaper and a total rip out revealed panelled ceilings and unique period mouldings. We used these as inspiration for our new joinery which included new french doors and sash windows. 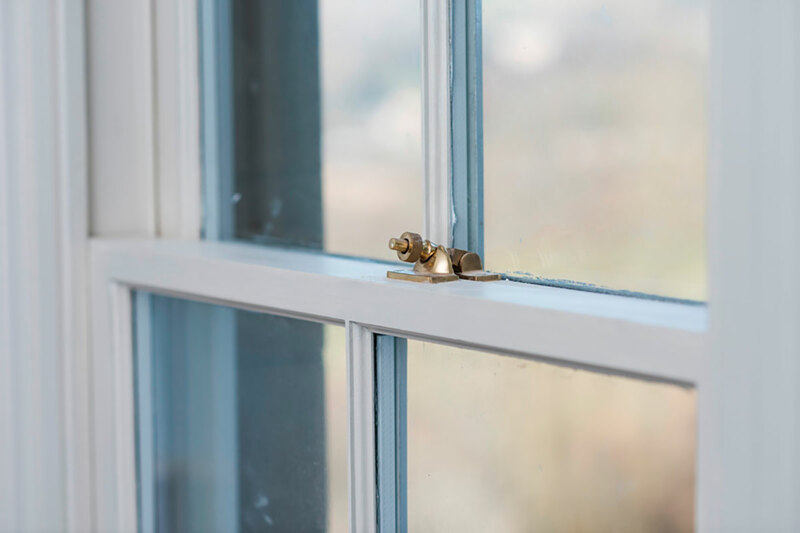 In the bedroom, we crafted french doors and a long sash window in the same style. 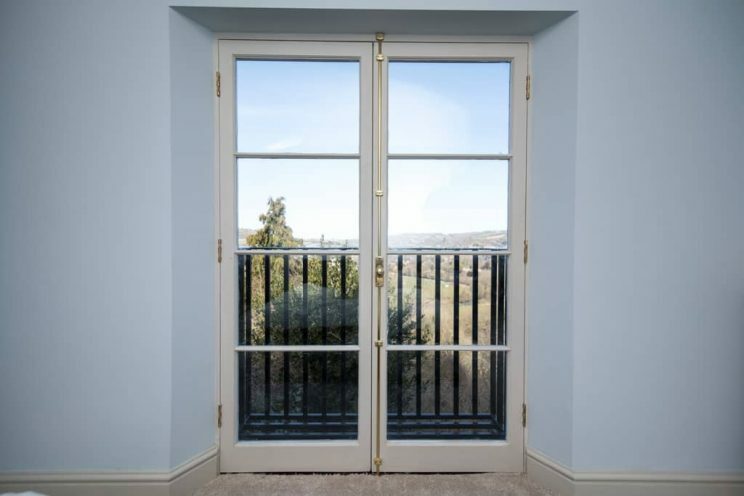 The doors opened up onto an iron balcony with a wonderful view across Bath’s countryside. 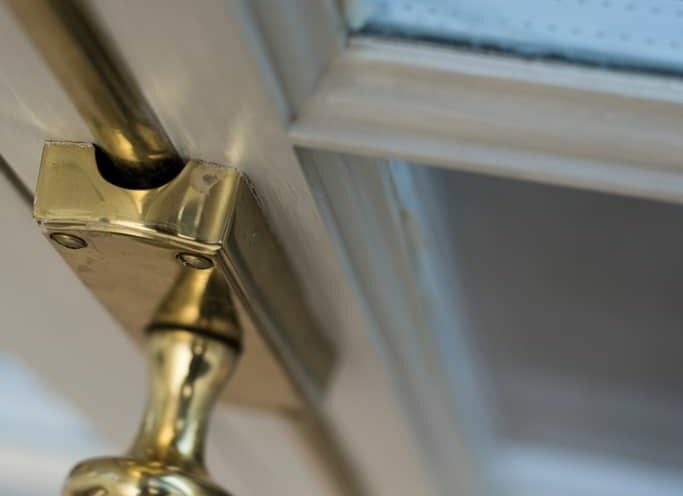 We fitted state of the art draught proofing and glazing and finished the joinery in brass ironmongery which included locks, sash stops and handles. 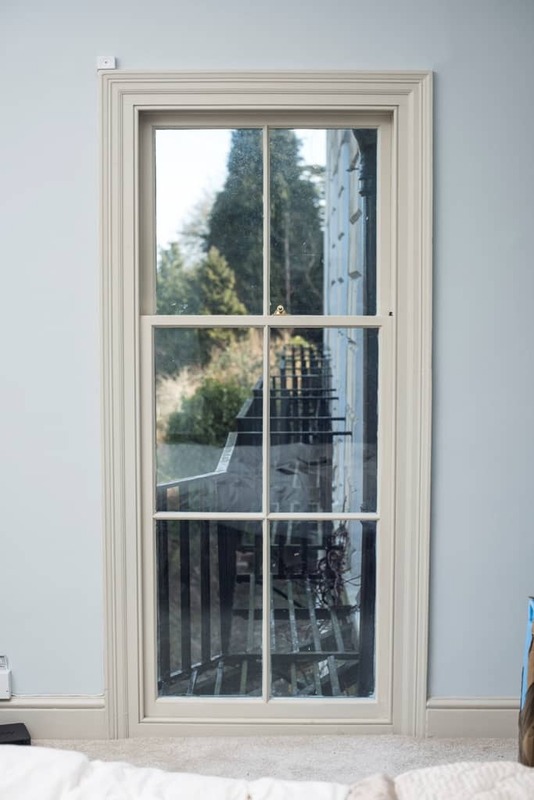 The joinery was also painted in-house and fitted by the team. We craft traditional doors and sash windows that not only look beautiful but can also be enjoyed for generations to come. 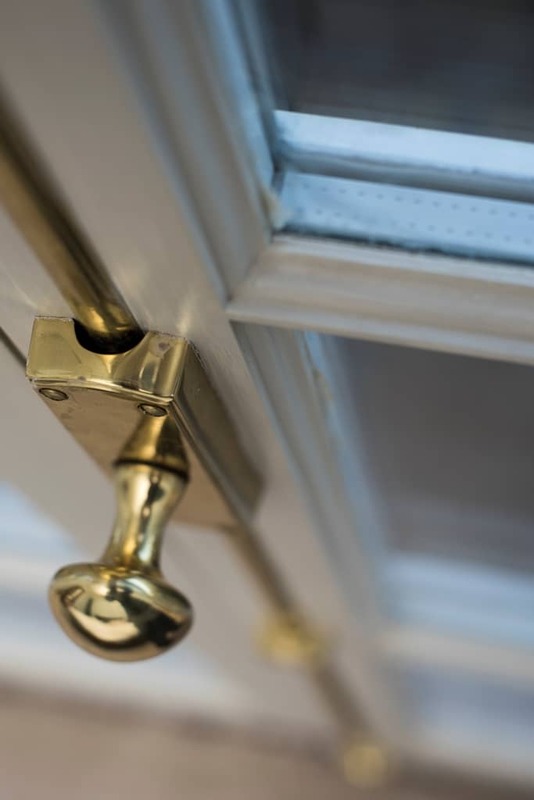 This includes using cutting-edge materials to improve the thermal efficiency of a home and the longevity of the window. 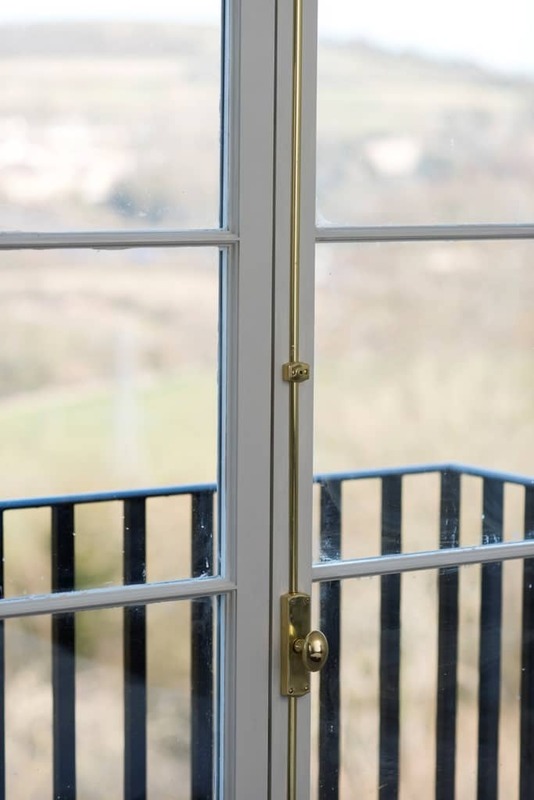 All of our window framework comes with an unprecedented 50-year guarantee. 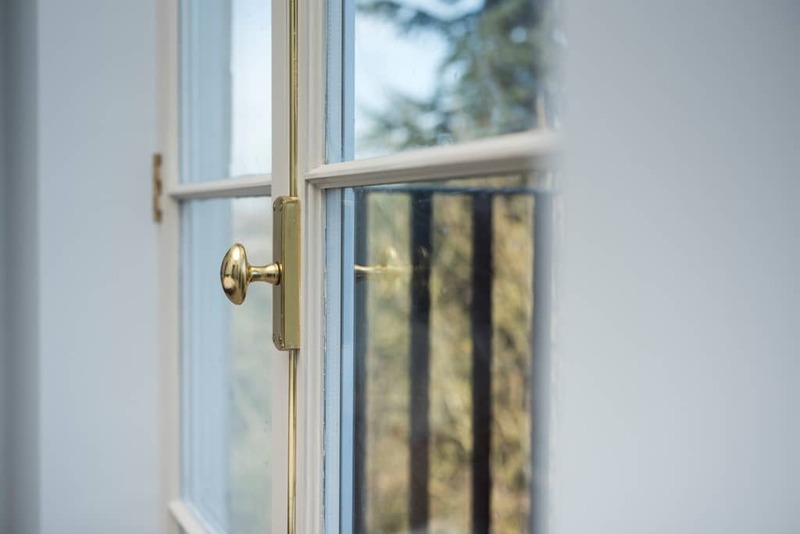 All of our sash windows are handcrafted in our workshop in Winsley, in the traditional way, with full mortise and tenon joints. 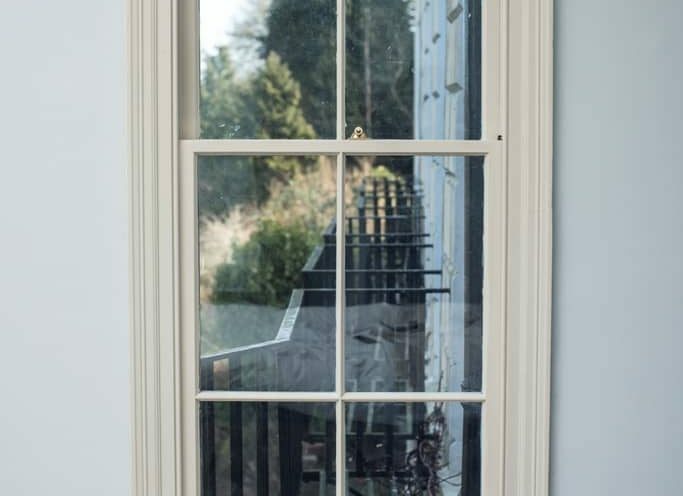 We create original mouldings, tight scribes and finish the windows using only the best UK manufactured ironmongery. We’ve been making and restoring traditional sash windows in Bath for a long time and have also worked with local conservation groups across the county on stunning period buildings including, The Circus in Bath and Bath Abbey. This was a fantastic project which not only utilised our joinery skills, but also our cabinetry. We also created a completely bespoke kitchen for the family in the bottom storey of their home. You can see the project here.